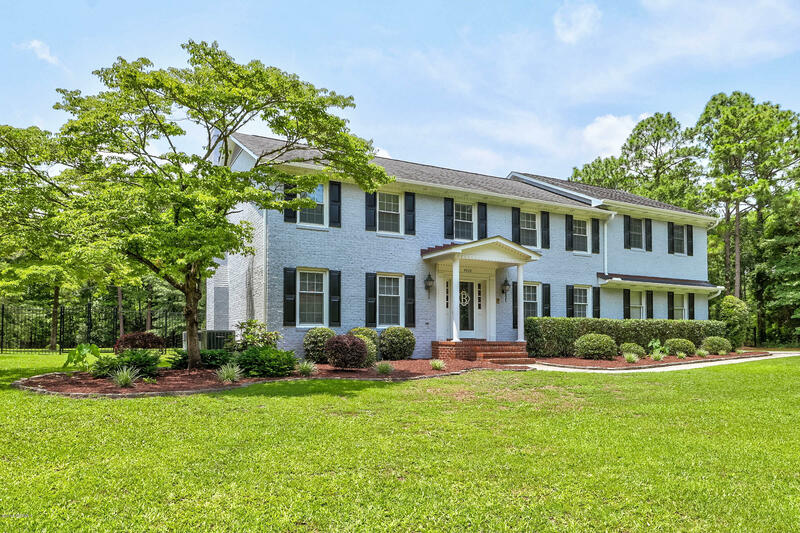 Situated on almost 1.4 acres just outside of Wilmington city limits, this traditional, brick home has been fully renovated and is ready for its new owners! You will love Samsara Estates, with stately homes and large mature lots. As you pull into your driveway, you will enjoy your expanded parking pad and the views of your well-manicured yard. No detail was spared in the renovations! As you enter, the true foyer is inviting and opens to views of the dining room, formal living room, and chef's dream kitchen! The entire first story boasts fresh paint! You'll enjoy entertaining in your kitchen - which has been perfectly laid out with high-end appliances, including a double oven, gas stove and beverage center, a large kitchen island and plenty of storage in the custom cabinetry.